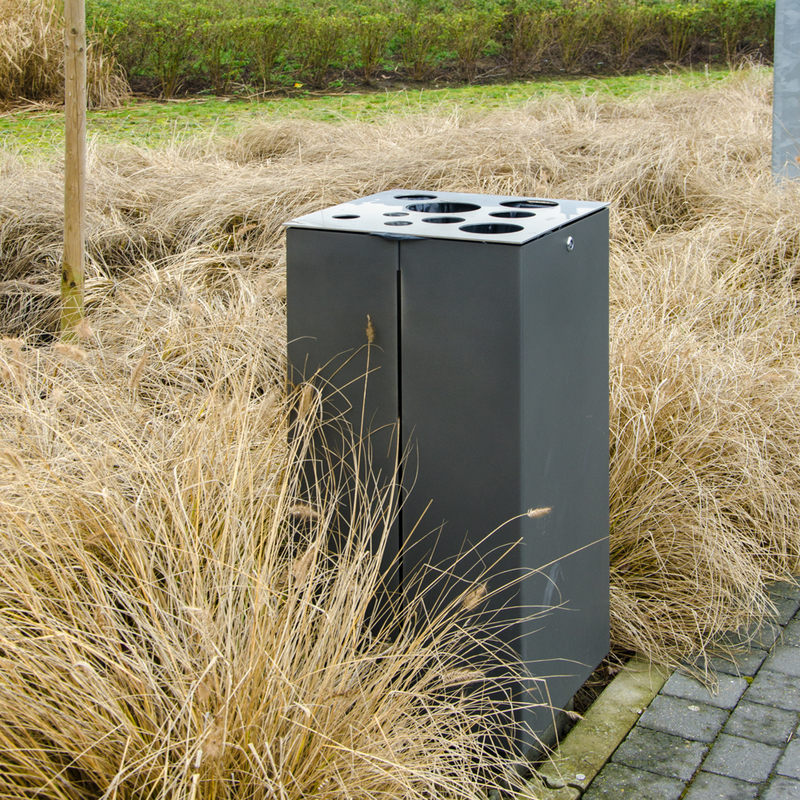 Streetlife’s Box Bins are waste disposal containers that reflect an understated design. These Box Bins give a modular Lego-block appearance when used in outdoor areas. 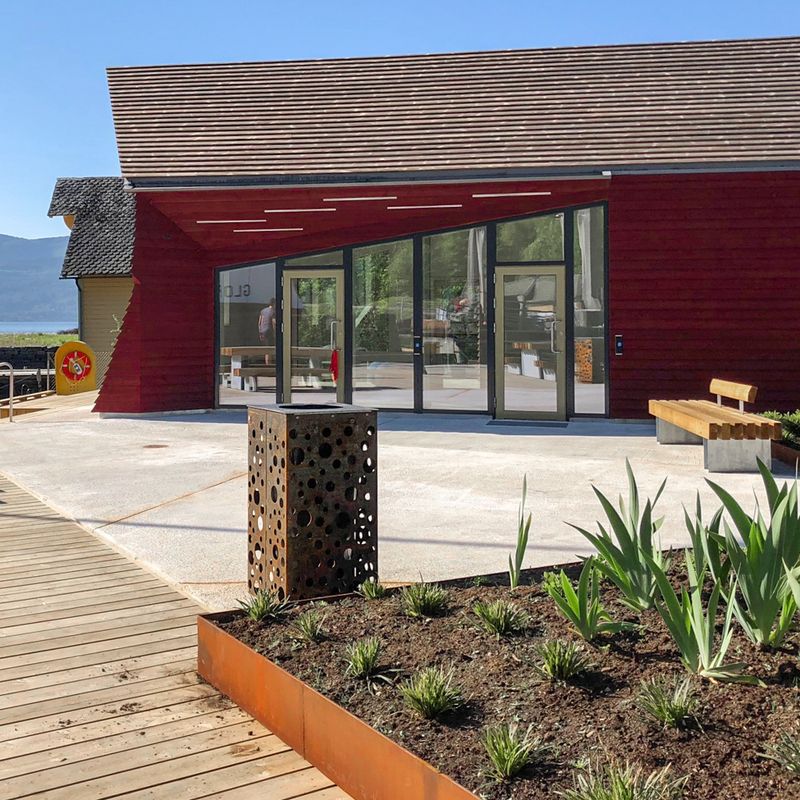 Their rectangular design makes it easy to line up multiple bins harmoniously in order to create more capacity and/or waste sorting facilities. The sheet steel casing contains a bracket for fastening plastic garbage bags. The bin is emptied from the top. Because the hinged flap with waste openings is made of 316 stainless steel, cigarettes or other “sticky” waste cannot adhere to it. The flap is opened and closed using a triangular lock. 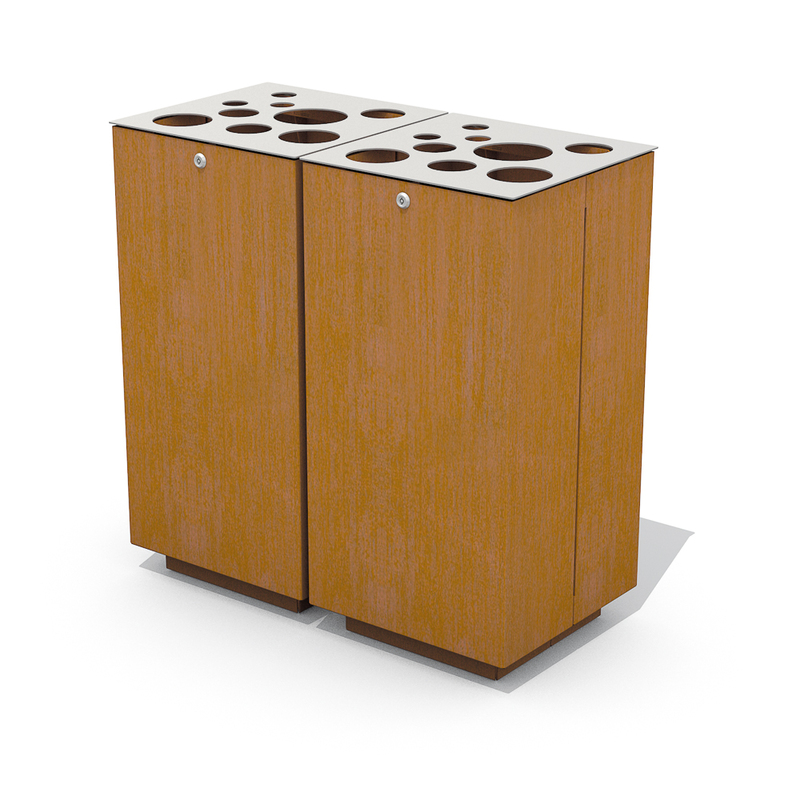 The Box Bins are available in warm CorTen with a stainless steel cover. The thick-walled CorTen can be laser cut with our Casual Dots pattern. This makes for a recognisable design, and gives display to the contents i.e. an internal bag or wheelie bin. 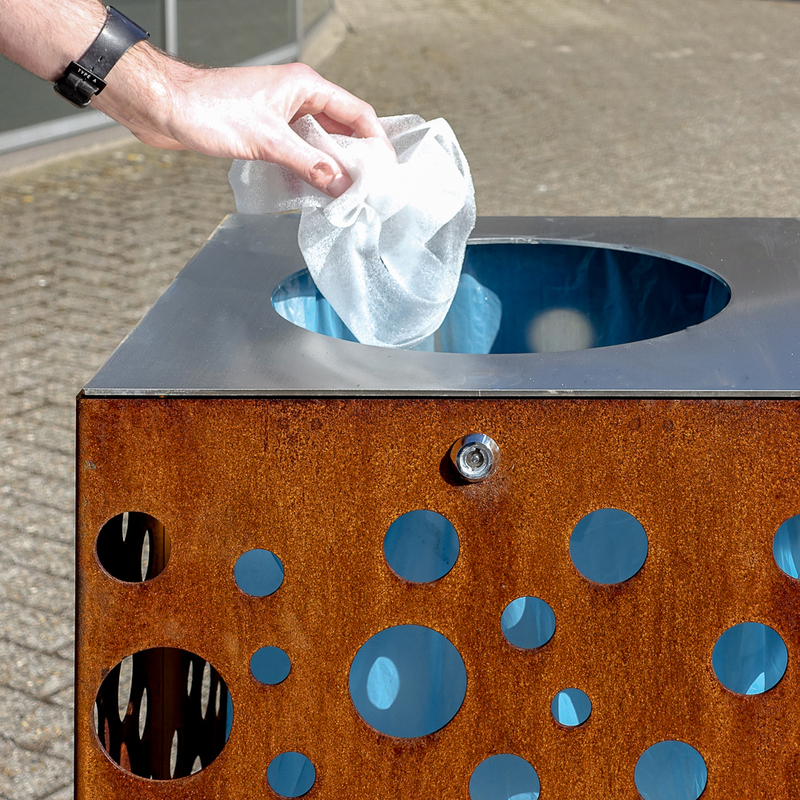 Applying the Casual Dots pattern to the Box Bins, which are also available in the Streetlife Tree Grilles, provides the designer with an option to create a more holistic overall plan.